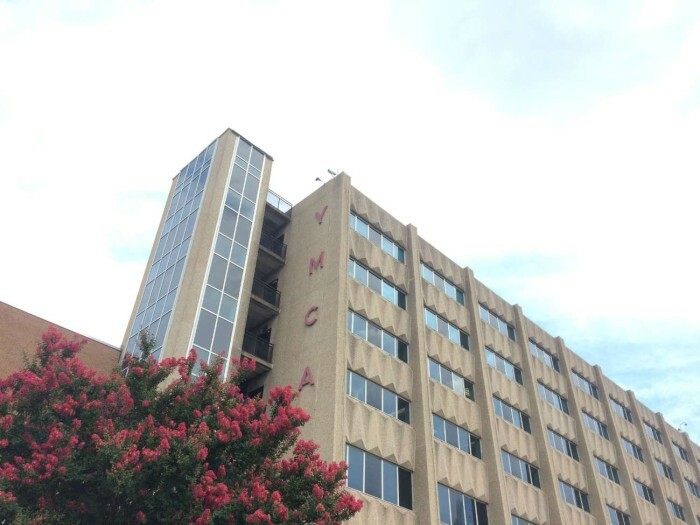 Sometimes I start or end my workout at the Dowd YMCA with a walk or run through the surrounding neighborhoods. 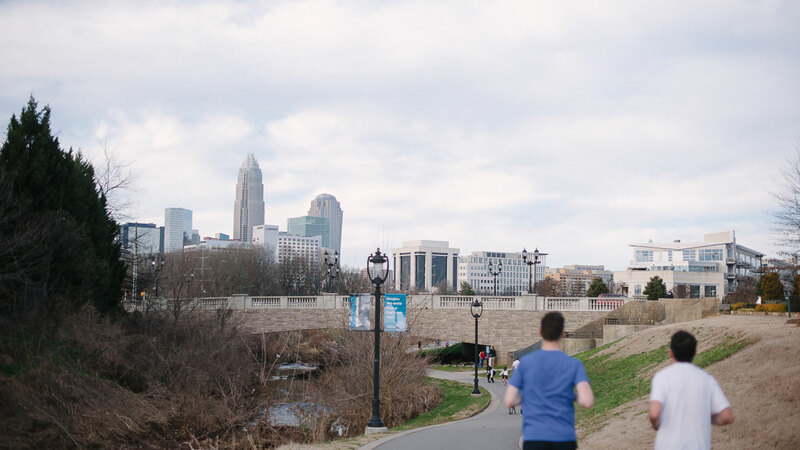 Thanks to the Dowd’s location right near the convergence of South End, Uptown and Dilworth, you’ll get a different running experience (residential, urban, parks) depending on which way you turn. Plus, starting and ending at the Dowd means you’ve got free parking and access to locker rooms and showers when you’re done. Always be smart about when and where you run. Stay aware of your surroundings (cars and people), tell someone you trust where you’ll be running and carry a phone in case you need it. These routes are a suggestion and may be impacted by construction and detours. Stay on sidewalks and obey crosswalks. Scenery: Urban. Restaurants, apartments, some artwork along the trail. If you want to knock out your run without waiting at lots of crosswalks and stoplights, cross over South Boulevard from the Dowd’s back exit on Lexington Avenue and hop on the pedestrian Rail Trail. 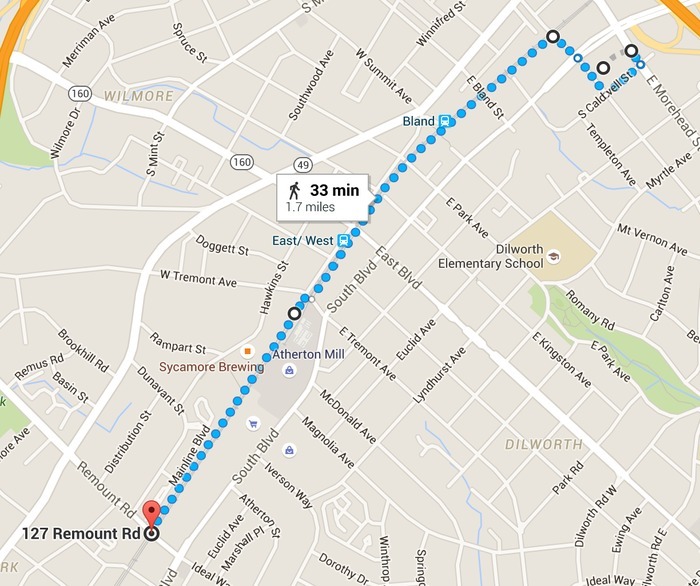 Head southwest (away from Uptown) until you hit Remount Road. Turn around and run straight back to the Dowd and you’ll clock in slightly more distance than a 5K. Scenery: Urban parks. 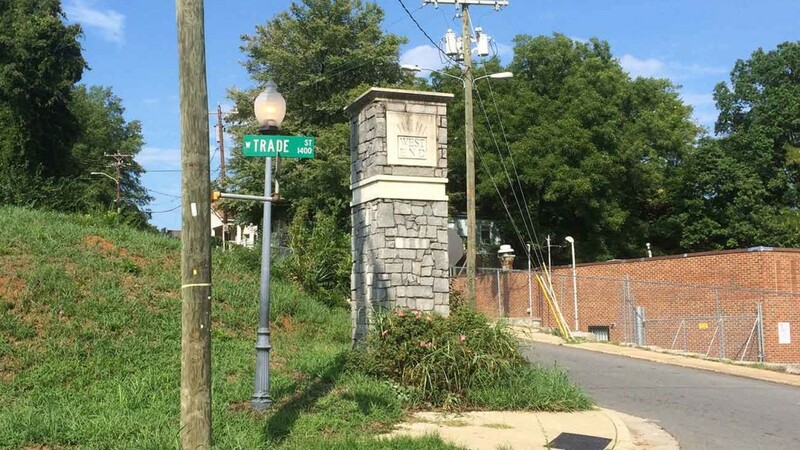 The duck pond at Marshall Park, the fountains at First Ward Park, the killer skyline view at Romare Bearden and more. 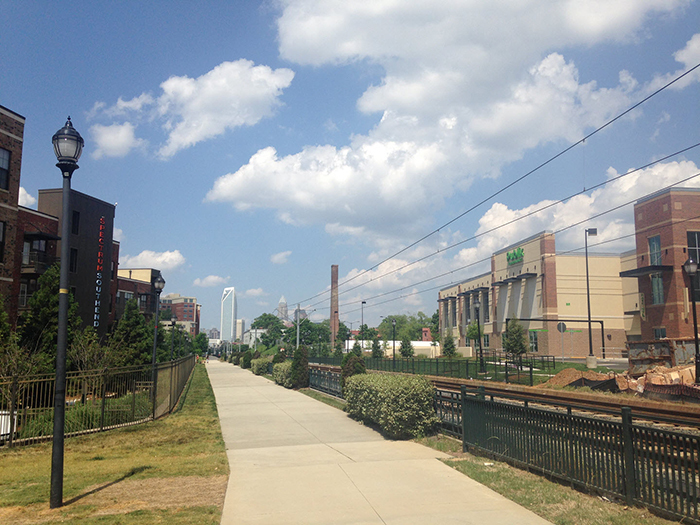 Run your way through Uptown’s urban green spaces, each offering its own unique vibe and view of the city. 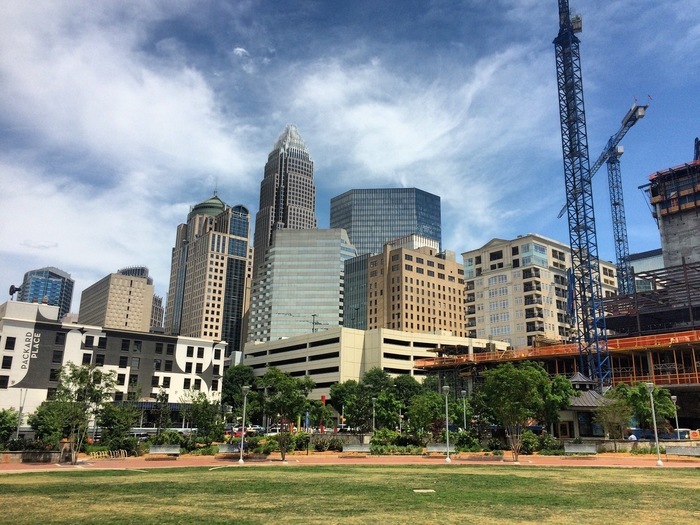 You’ll see Marshall Park in Second Ward, the new First Ward Park next to UNC Charlotte’s Uptown campus, Fourth Ward Park and Romare Bearden Park in Third Ward. Keep your phone handy for photo ops. 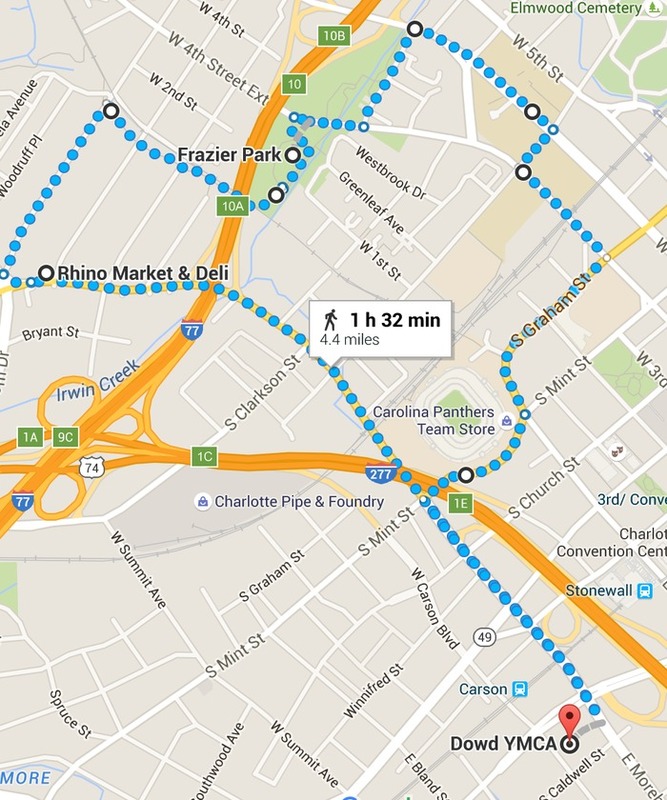 Scenery: Stadiums (Panthers and Knights), urban college campus (Johnson & Wales), greenway. 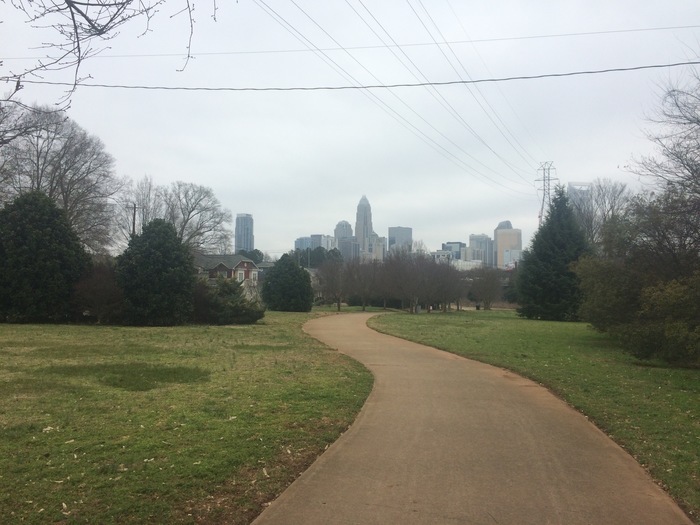 Run your way past Bank of America Stadium and BB&T Ballpark, through Johnson & Wales’ Uptown campus and into Frazier Park where you’ll be able to hop on the greenway that runs through the Wesley Heights neighborhood. 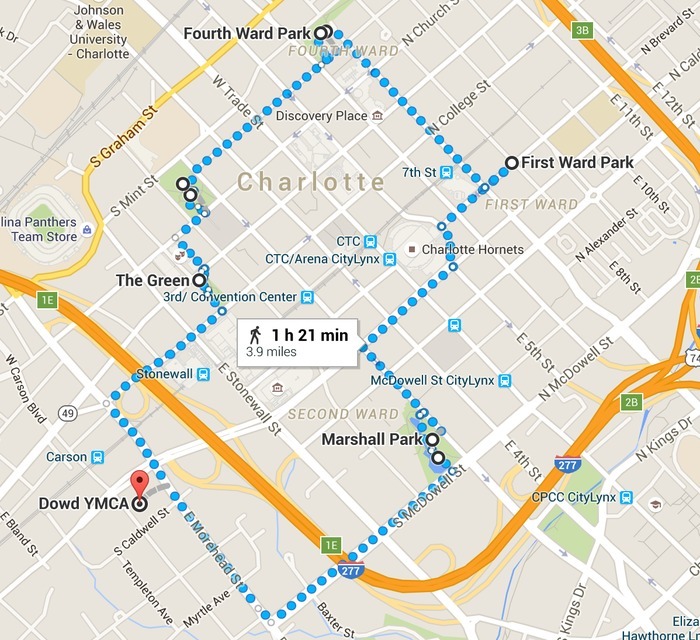 Loop around to Morehead and back to the Dowd. 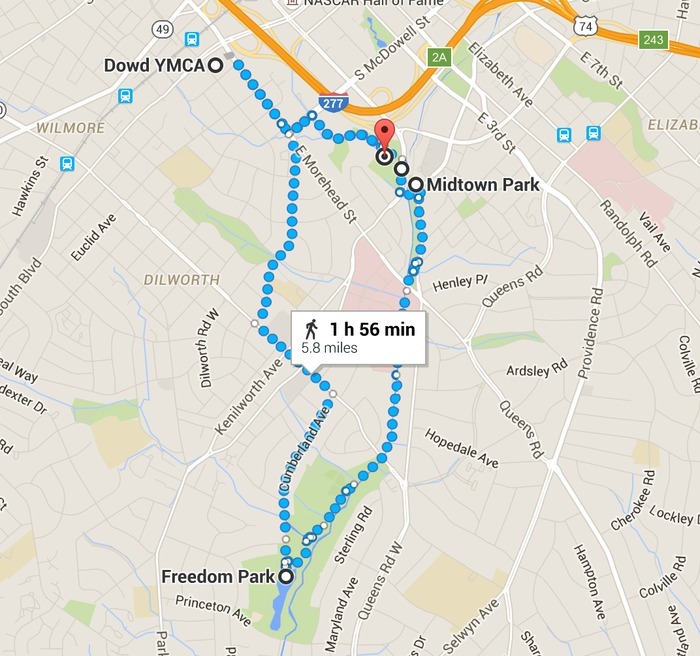 Run through residential Dilworth to the back side of Freedom Park on Cumberland Avenue. 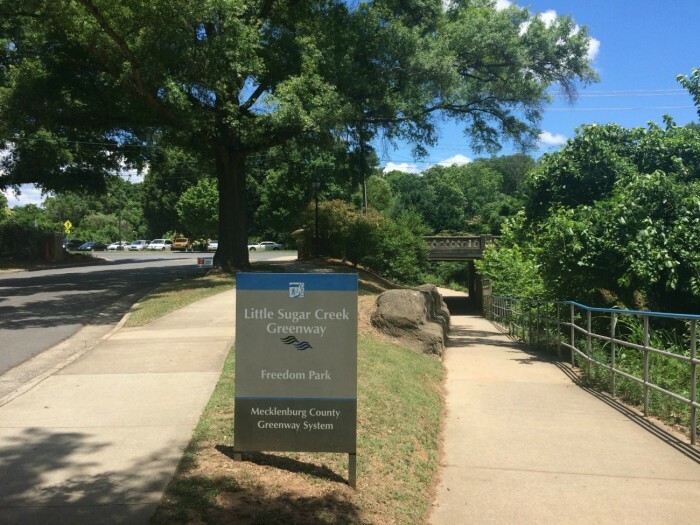 Cut through the park to the entrance to Little Sugar Creek Greenway under East Boulevard and follow that along the creek to Midtown Park. Take Pearl Park Way across Kenilworth into Pearle Street Park, which will cut you through to S. McDowell and back to Morehead.